If you follow the #memade tag over on Instagram or learnt your dressmaking craft following online blogs, you most likely will have come across the subject of our next interview. Roisin Muldoon (aka Dolly Clackett which is the name of her blog) has very kindly agreed to answer some of our burning questions! We’re excited that Roisin Muldoon took the time to do this interview with us. 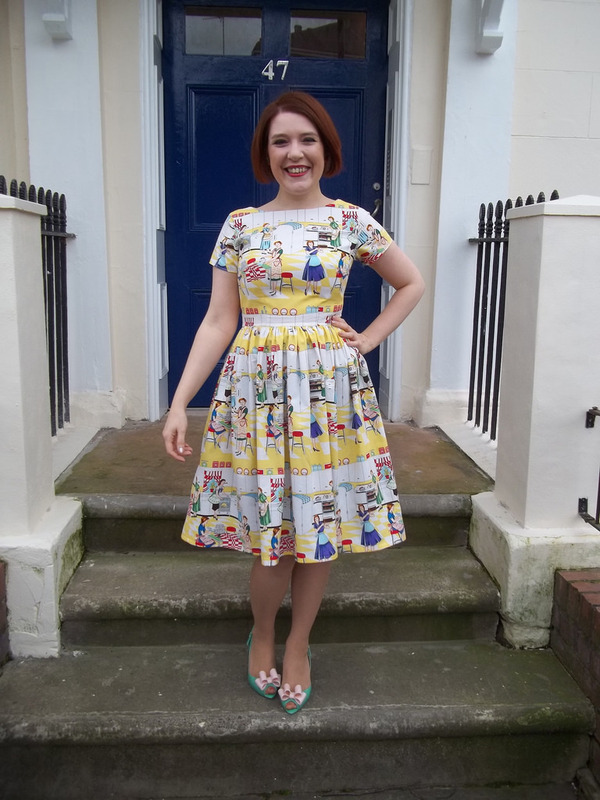 We love her dresses and she really does epitomise the #memadeeveryday tag! She is also a big fan of Alexander Henry and Michael Miller fabrics and tends to sew mostly with cottons making retro inspired dresses. So once again we recommend you sit down with a Galaxy Ripple and a cup of your favourite hot beverage and enjoy some inside info from the lady herself! First of all, where does the name Dolly Clackett come from? It's a reference to a 1950s sitcom called Hancock's Half Hour. Dolly Clackett is one of those characters - a bit like Myjaris Crane in Frasier, or Mrs Columbo - that you hear about or never see. In an episode where Hancock is getting mysterious poison pen letters, he declares, "But it can't be from Dolly Clackett! She gave me an Easter egg!" and the line made me laugh so much I have been Dolly Clackett ever since! How long have you been sewing your own wardrobe and did you have much experience in sewing before that? I have been sewing since I bought a sewing machine in 2010, and I had extremely limited experience before that. I'm almost entirely self-taught, despite the fact that my mother was a seamstress in garment factories! We never had a sewing machine at home, but it is something I decided I wanted to learn, so away I went. What got you into sewing? A love of dresses, mainly. I wanted a hobby that would help build my confidence and self-esteem at a difficult time in my life, and sewing helped a lot with that. Have you taken many classes or are you mostly self taught? I am mostly self-taught. I attempted to go to lessons at my local college but they were awful, so I gave up and learned the old-fashioned way, through trial and error! How many dresses do you think you’ve actually made, roughly? Uuugh that is a difficult one. I've been sewing for let's say 7 years... at a conservative average of a dress every couple of weeks, that would be around 200. It's probably more than that, though! 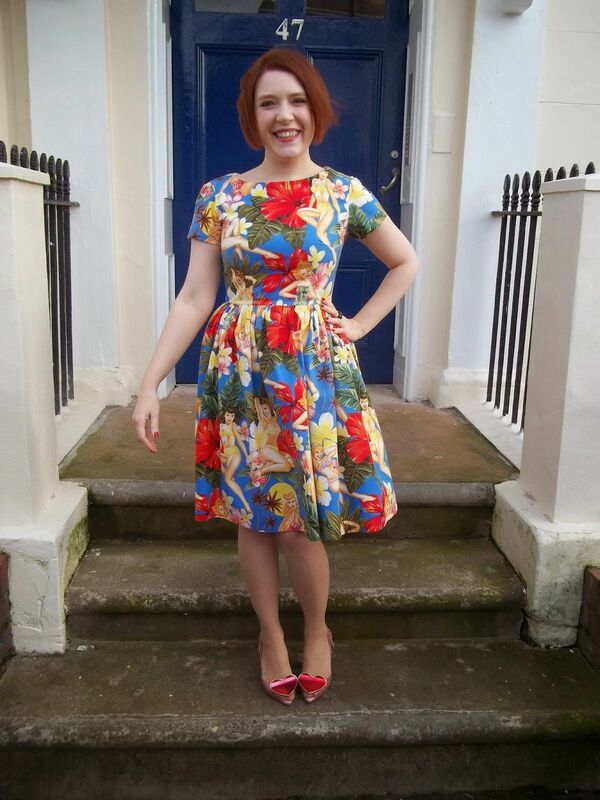 Have you an all time favourite dress that you’ve sewn? Yes! I made my own wedding dress. It wasn't a traditional wedding dress style - it was something much more me - and I made it from Liberty tana lawn. I wanted something simple and pretty that I could wear again, and I love the finished result. What draws you to particular fabrics? I am a fan of a fun print and I love a nice crisp cotton. What advice would you give to someone picking out a fabric for your style of dress? 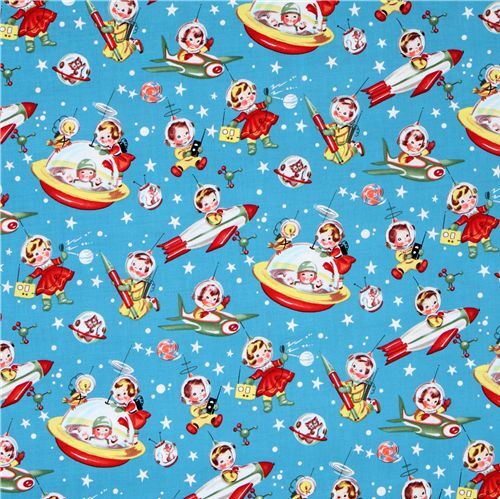 I know a lot of people are snobby about quilting cottons, but some of my very favourite dresses have been made from these and there is no shame in it. If you love it, you will wear it! Now that you are an expert, how long do you think it takes you to sew up a dress? and how does that compare to when you began sewing your own wardrobe? If it's a pattern I'm familiar with, I can easily sew a dress in a day. I tend to break up cutting and sewing - I might cut and prep on one day and sew the next, or cut in the morning and sew in the afternoon with a break in between. I'm definitely quicker than I used to be because I know my body and what fitting adjustments I will need much better than I did when I started out. It isn't a race, though. It's my hobby and I sew at a pace I enjoy. Comfort or Style, or a compromise of both? Comfort is relative, isn't it? I don't tend to wear knit dresses very often because I don't find them to be much more comfortable than woven dresses. If you're not comfortable, though, you won't look very stylish! If you were recommending a dress pattern to a beginner, what would it be and would you have any tips for that particular pattern? 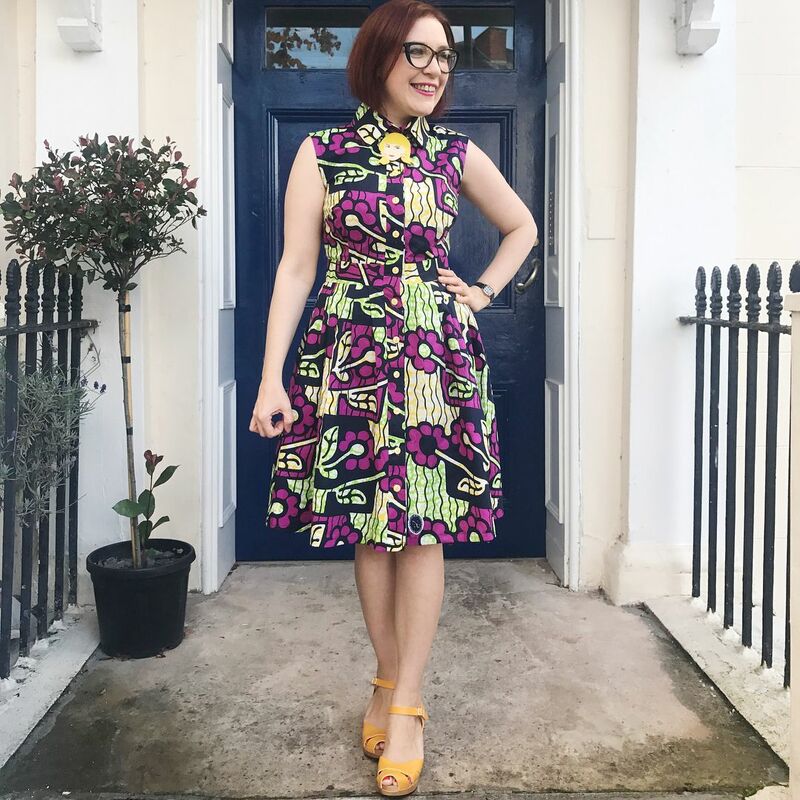 I really love the Emery dress by Christine Haynes (below) - it's a classic style and the instructions and drafting are impeccable, but if you want to make it sleeveless you will need to ajust the arms a little. If you had to pick out one major sewing lesson you’ve learnt during your sewing career, what would it be? That you don't have to sew what everyone else is sewing, and you don't have to sew everything. I briefly dabbled with making my own pants, but I decided that my sewing time is precious and I'd rather spend it sewing amazing dresses and buy my knickers in M&S! What is your worst sewing habit? Hhmmm... maybe making the same thing over and over again. Does that count?! I always eyeball the grainline. I pin rather than use pattern weights. I pink most of my seams rather than overlock them. These things are all fine but some people in the sewing blogging community would tell you otherwise! What do you like to watch / listen to whilst sewing? Usually my husband puts something on to watch (with subtitles) whilst I sew. 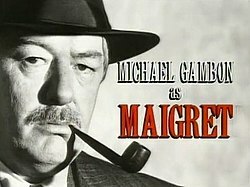 Recently I have been listening to the 1980s Maigret TV series (while Nic watches on TV) to see how much French I can translate to myself when I'm not reading the subtitles! What is your favourite type of fabric for sewing dresses? Cotton! Cotton lawn, quilting cotton, poplin, stretch cotton, voile. I love wax print cotton too - it'a amazing for dresses. Do you have a favourite fabric designer? Not really. I love Alexander Henry fabrics and Michael Miller fabrics - I like a good floral, and I like the designs by Gretchen Hirsch for Joanns in the US and Spotlight in Australia. 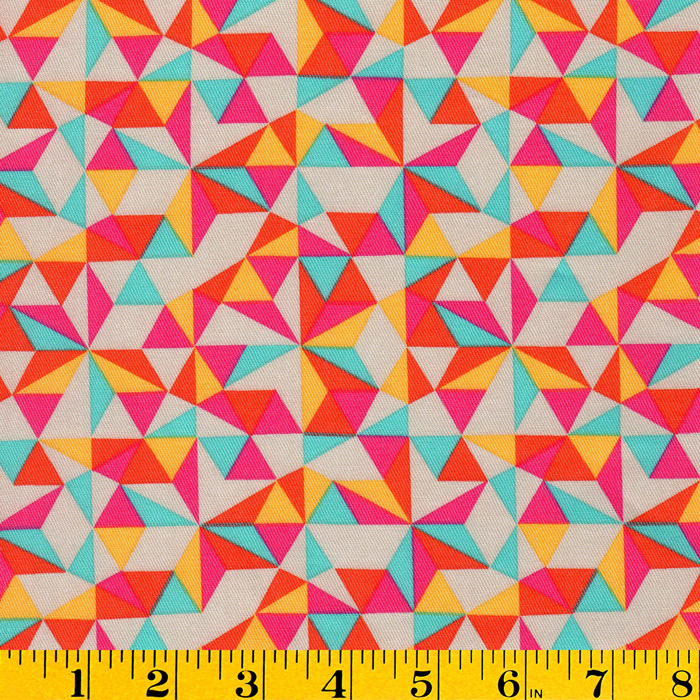 Do you have a large fabric stash or are you good and tend to use what you buy straight away? I have a small fabric stash: it all fits into one cubby of an Ikea Kallax unit. I'm not averse to stashing but I live in a small flat and I don't have a dedicated sewing space. Add to this the fact that I have a lot (a LOT) of shoes and books and records... there simply isn't space for a larger stash! This is good because it doesn't stress me out and I don't tend to become too precious over fabrics, but if I lived somewhere where I had more space I would probably have a bigger stash. You’ve found a gorgeous fabric at a great price but don’t have a particular pattern in mind, how much would you buy of it? It depends on the width and the type of print - for a 45in two-way print, 2m is enough for a dress for me, 3m if I want a circle skirt or it has a directional print. More if it is border print. Whats your favourite sewing magazine? I don't read sewing magazines! Occasionally I will buy one if it has a good pattern on the cover, but I'm not really into magazines. Have you ever been tempted to turn your hobby into a career? No! I do get asked this a lot, but no. I love having it as a hobby and something I just for for myself. Do you think Instagram has now taken over from blogging as the main media for sharing sewing experiences? To an extent, yes. I blog a lot less frequently because of time constraints but I use instagram a lot. I would feel a bit strange about doing a lot of 'what I wore' posts on my blog but I like being able to share how my handmade wardrobe works in an everyday context on instagram and to see how other people do as well. Who do you most admire in the #memade world of sewing? Oh there are so many! My good friend Amy (Almondrock_sews) made sewing her career when she became editor of Love Sewing Magazine. Marie from A Stitching Odyssey is a little ray of sunshine - I love the things she makes and all of the details she shares about her own life outside of sewing. 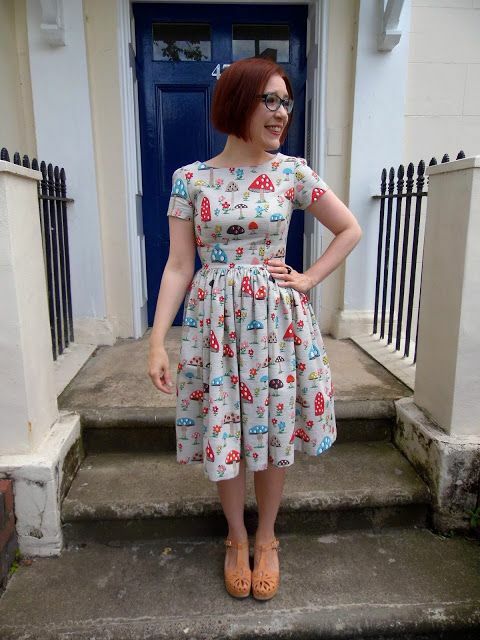 I want to wear everything Bobbin and Baste (an Australian sewing blogger) makes. Siobhan Simper blogs at Chronically Siobhan - she's another Australian lady who blogs about knitting and sewing and living with a chronic illness - she is a very talented maker and an amazing writer. Annie from the Enantiomer Project - even though I have to google how to spell her blog name EVERY TIME I love what she makes. What is your favourite sewing hashtag? I love #memadeeveryday - I love seeing people wearing their handmade creations in real life! Thank you so much to Roisin for giving us her time and allowing us to steal these lovely photos from your blog and Instagram account (That wedding dress! Those wedding shoes!) I hope you enjoyed this little insight into a very talented lady’s sewing thoughts!